I didn’t feel like writing tonight. Then I decided to force my sorry self into my chair and start writing. And now I think the end of draft 2 is finally within reach. And oh my giddy goodness does it feel good to finally reach an ending that isn’t drawn out over several months of struggling with words. It’s not what I expected, but it’s going somewhere better and I can’t wait to see it reach a conclusion. 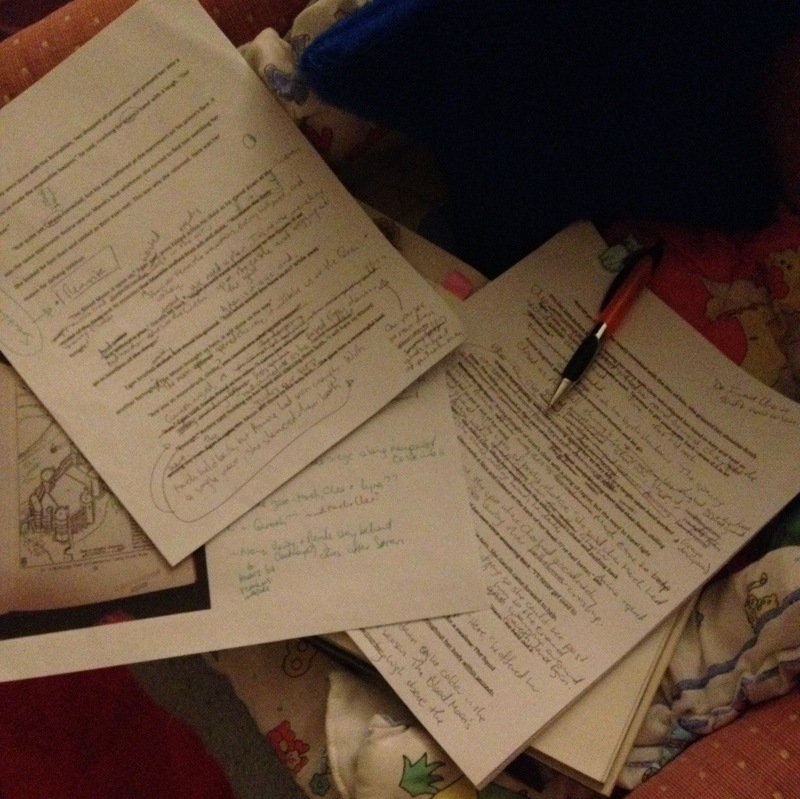 I edit by hand whenever I’m stuck in a tricky scene… The bad part is figuring out what I wrote as I type up my scribbles. Bright side, I get to edit again as I transcribe.